Brock Rosenthal founded Ocean Innovations in 1993 to help guide customers though the sometimes bewildering array of marine technology products. Brock enjoys the challenge of finding the optimal solution for every technical problem given the temporal and fiscal constraints. He has hands on experience with a variety of equipment and the cables and terminations that connect them together. Brock has served in a variety of roles in the Marine Technology Society at both the local and national levels. In recognition of his service he was elected a Fellow of the Society in 2011. 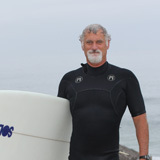 Mr. Rosenthal has completed courses at the Scripps Institution of Oceanography and has degrees from UCSD and UCLA. Sheila Johnson brings many talents to Ocean Innovations; she functions as the companies CFO and web designer, handles vendor relationships, and manages key customer accounts. Sheila’s education in computer science and varied professional experiences, coupled with a willingness to jump in and take on new challenges, make her an excellent problem solver and a valuable asset to Ocean Innovations. She is also Treasurer for MTS San Diego (Marine Technology Society). 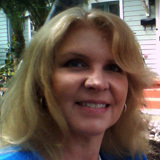 Ms. Johnson holds a bachelor of arts degree from the University of California, San Diego in Applied Mathematics, with an emphasis in Scientific Programming, and a masters degree from Central Michigan University in Administration.